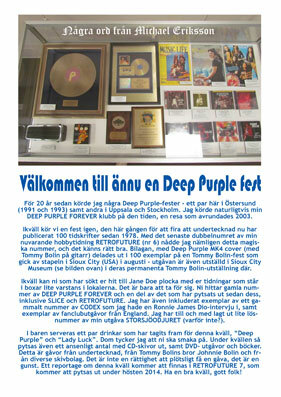 The upcoming Deep Purple party at Jane Doe here in Östersund on November 23 is taking up some of my spare time right now. Lots to prepare. 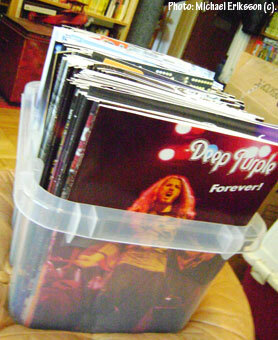 What you see here is the first out of two boxes with magazines from my past that people will be able to pick up for free. To get the real goodies, you may need to be there early. 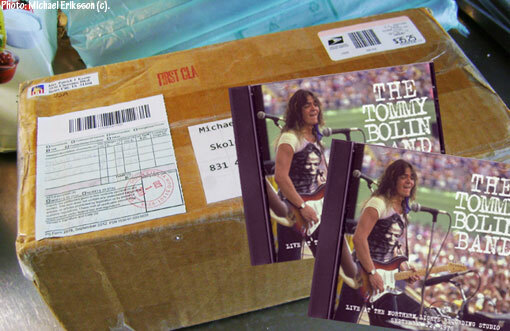 CD´s, DVD´s, books etc are coming in. I will take a shot of it all a few days ahead of the party and show it to you here on this blog. I dare say there will never be a party quite like this in these parts again. Word is starting to spread, I can tell. Good to know. 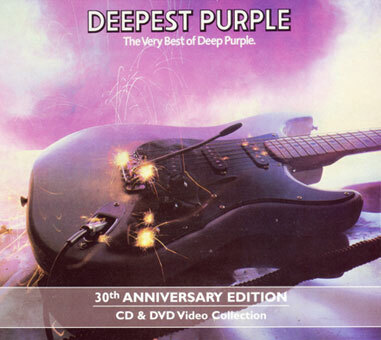 I decided to relax a bit tonight watching the DVD part of the Deep Purple compilation album “Deepest Purple – The Very Best of Deep Purple”, with the wonderful Jon Lord talking about the tracks like only he could. 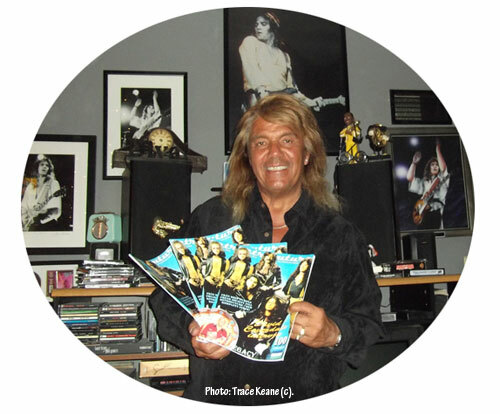 Originally, this album came out in 1980 and it was a smash hit in the UK – a new generation of fans were discovering the roots of Metal at the time, and ex-Purple offshoots like Whitesnake, Rainbow and Gillan were all in the charts with alarming regularity. 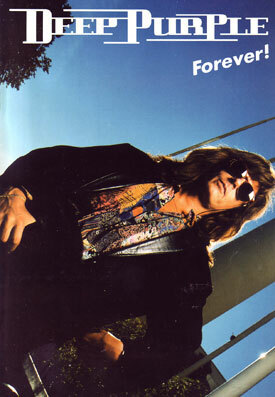 No wonder then that this album became quite beloved – and I always thought that the cover was great. As for the videos, the 30th Anniversary Edition featured 15 of them, all of them discussed by Lord (or rather, the actual songs). To see the band blasting away at “Space Truckin´” from the classic “Made In Japan” album is priceless. EMI did a good job giving this title some new life a few years ago. Did an interview for Canadian production company CMJ Productions this morning for an upcoming show called Boogeymen. This is a travel show that is being shot right now for airing next year. 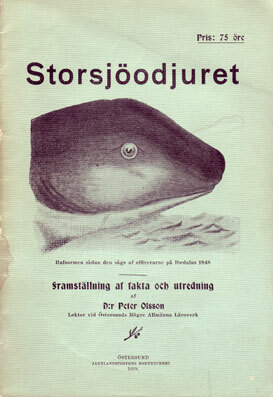 They wanted to include Storsjöodjuret (The Great Lake Monster) and contacted me a while back having seen my posts on this subject on this blog. So I set them up with the right contacts regarding this particular subject and they asked me to talk to them on camera as well. Hard to refuse, so I guess I am a Boogeyman now! The show will also include segments about Östersund and the surroundings. Initially, the plan was to shoot down at Frösö harbour on the island of Frösön in lake Storsjön (The Great Lake), which is where I saw this elusive animal (whatever it may turn out to be) back in 1977. The sunlight was pretty good, but the wind made it impossible to do the job there. So the guys, three hard working young men that worked their asses off to make it work (Alexis, Yan and Guillaume), decided to film just a few shots of me walking around the area and looking out at the water etc, and then it seemed like a good idea to move operations to Jamtli (a local museum) to get the interview done indoors. One hour turned into three but in the end I think they could walk away with some decent quotes. I have no idea how they are going to save the rest of the schedule for today, but I am sure they will figure it out. I think they are in town for three days to get what they came here for. Good fun, and I hope the Great Lake Monster episode turns out to be a successful inclusion in the series. Glad to help put this town on the map. It is early Saturday morning and I am killing some time before heading out to meet a Canadian tv-crew who are in town to shoot a documentary about our elusive creatures in lake Storsjön (The Great Lake). Friends of this blog will know that I have seen a strange animal myself back in 1977 (far too big to be your standard fish) and that I have been involved in recent years in collecting and printing sightings and history regarding this mystery. Storsjöodjuret (The Great Lake Monster) is an ongoing affair and it is nice to see that international interest is on the rise. What you see here is an original printing of the first book on the subject, published by Dr. Peter Olsson 114 years ago. Simply titled “Storsjöodjuret” (Jämtlandspostens boktryckeri, 1899) it deals with a number of cases and the author speculates about what it could be. Glad to own a copy of this book, it reminds us of how long people have had a genuine interest in the subject – in fact, this book came out when there was an ongoing effort to capture or kill one of these animals. These days the hunt is on with more peaceful means (like Sonar equipment and underwater cameras). Something to be grateful for.